Thorney How015394 35597work01539435339fax Tourist HostelThorney How offers guest accommodation with 7 en-suite B&B rooms, and and also a 16 bedded Bunk House in Grasmere, the heart of the Lake District. Come and experience the tranquil setting with easy access to magnificent scenery, mountain walks, cycling and the cultural centre of Grasmere. Thorney How is a traditional Lakeland residence with 2 acres of private grounds. Ideal for all sorts of group activities and celebrations, with the accommodation able to be split into 16, 26 or all 42 beds. The main gentleman's style residence and 400 year old farmhouse is charming and has well proportioned rooms with fabulous views onto the grounds and the distant Fairfield/Helvellyn mountain range. The main house with recently upgraded en-suites has 7 rooms with a total of 26 beds. All main house beds are sold with a basic breakfast that is upgrade able to full cooked English breakfast. 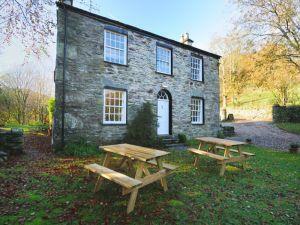 Grasmere Bunk House sits underneath Helm Crag, with 4 rooms creates an independent 16 bedded space. All beds are mainly bunk bed type with all bed linen supplied. Double, twin and family rooms are also available in the main house. Private parking, cycle store, drying room, licensed bar and spacious grounds complete the experience. Whilst enjoying your stay why not hire a mountain bike. Thorney How sometimes limits bookings to 3 or more days. Bunk House room - male only beds. Comfortable and warm, carpeted, secure private storage, individual lights and comfortable chair. Access to unisex showers. Self catered, breakfast available to purchase. 4 per male bed sometimes limits bookings to 3 or more days. Victorian built ground floor room with features, king size double bed, mountain views, comfortable and warm, carpeted, personal storage and comfortable chair. Basic breakfast, towels, in room tea and coffee facilities included within price. En-suite facilities with shower. Victorian built ground floor room with features, mountain views, comfortable and warm, carpeted, personal storage, individual lights and comfortable chair. Basic breakfast included within price. En-suite facilities with shower. Family en-suite sometimes limits bookings to 3 or more days. Larger family room for up to 6 persons. Victorian built first floor room with features, mountain views, comfortable and warm, carpeted, personal storage, individual lights and comfortable chair. Basic breakfast included within price. En-suite facilities with shower. Large Family sometimes limits bookings to 3 or more days. Very aesthetic and ascetic place. Clean and equipped in all that is needed. Gave me a feeling of calmness and peace. Beautiful view from the window. Will try to come back if I can. 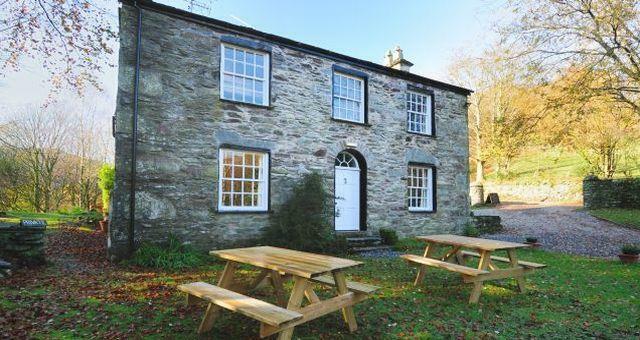 Thorney How offers guest accommodation with 7 en-suite B&B rooms, and and also a 16 bedded Bunk House in Grasmere, the heart of the Lake District. The property is also available for large and smaller group bookings.. Leisure facilities available in Grasmere, 0.5 miles, incurs additional cost. Property located within quiet rural area with 2 1/4 acres of private woodland and grounds. Towels available for hire. Credit card payments may incur a small handling charge. Children welcome from any age. (Not suitable for coaches - Sat Nav errors please read below). From the A591 travelling north on approaching Grasmere go past the roundabout junction near to the Wordsworth Trust signposted Grasmere Village. Instead take the next left hand turn 0.5 mile further on also signposted Grasmere Village opposite the Swan Hotel. This is Swan Lane. Follow this into the village for 0.5 mile. Easdale Road is immediately on the right as you reach the village green. Follow Easedale Road for 0.25 mile you will go past Butharlyp How YHA, several small groups of houses and over a small bridge. At a junction Thorney How is signposted right 400yds. Turn right here (Sat Nav directions may take you past this turning, this is incorrect). Follow the narrow winding and rising lane past a group of houses and woodland. Thoney How is then on your left. Thorney How is accessible via public transport. National Express coaches stop in Grasmere and there is a local bus 555 from Windermere and Keswick. The nearest local train service is in Windermere, with the nearest national line station at Oxenholme Lake District. The property enjoys a rural location. Access to and surrounding the building is via uneven ground with no finished surfaces or poorly maintained roads and no street lighting.